Fabulous large tureen stand with ornate pierced side handles. 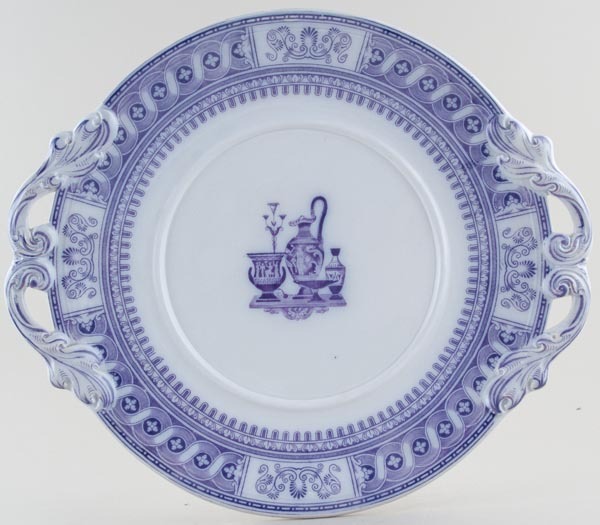 This pattern was first produced by Thomas & John Mayer of Longport, Staffordshire, active 1838 to 1842 and was made by successor partnerships, including Bates Elliott & Co of Dale Hall Works, Burslem, Staffordshire active 1870 to 1875 Backstamp: Impressed date for August 1875. Crazed with a little very minor discolouration on the back otherwise excellent condition. OVERSEAS SHIPPING OUTSIDE EUROPE Owing to the size of this item a supplement of � about US$61 will be added to the standard overseas shipping charge.